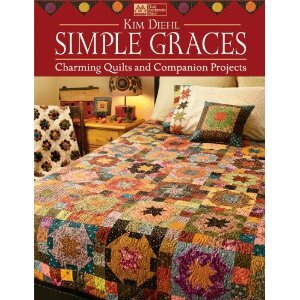 These books arrived in the mail just last week: Kim Diehl's Simple Graces (2010), and Simple Traditions (2006). Both feature beautiful patterns for quilts, throw pillows, wall hangings, etc. 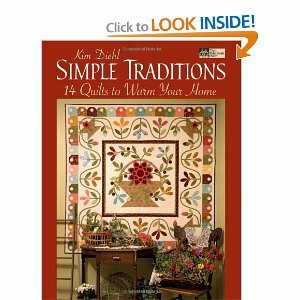 The projects were executed with tasteful colors, well written instructions, and plenty of details about how they were quilted. The applique patterns in Simple Traditions have a country feel to them and are beautiful. In both books, Kim features tips about sewing in general and about certain techniques used in a specific pattern. These tips are offset from the text by boxes and are easy to find.